You remember those Geico commercials from a few years back, heralding that using their website is so easy ‘A Caveman Can Do It’? 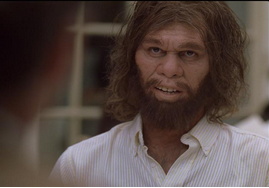 Well, Riverbed has a new ROI calculator for their SteelCentral Network Performance Management (NPM) solution, and it is so easy a caveman (or an intern) can use it. You see, I am a summer intern for the product marketing department here at Riverbed, and my technical knowledge is still probably about equivalent to that of a caveman. So I was slightly daunted by the idea of writing this blog, first and foremost because I had to google what ROI meant. But once I knew ROI stands for Return on Investment, I found that the calculator was extremely simple and user friendly. So I can say, with certainty, that it’s so easy to use, that a caveman, or a marketing intern, could do it. And it’s quick. In minutes, enterprise IT and network operations managers will be provided with important information about the true economic impact of a SteelCentral NPM solution on their company’s network and application performance. Faster troubleshooting and increased efficiencies! The new ROI calculator first asks you ten questions, like how many data center locations you have, the number of remote office locations, how many applications run on your network, and how many employees use those applications on a daily basis. Based on your answers, it gives you a prediction of your ROI over a three year planning horizon, and tells you approximately how long it will take for your investment to have paid for itself. The results are further broken down visually into three graphs. 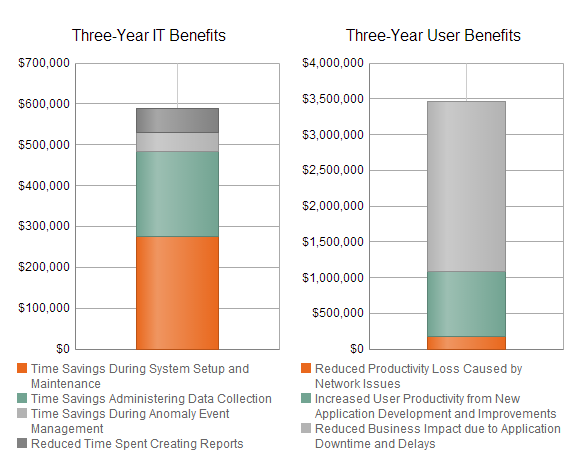 The first two graphs show you the three-year IT benefits and the three-year user benefits of implementing the Riverbed SteelCentral Solution, illustrating the amount of savings in different areas due to time savings and increased productivity thanks to the SteelCentral Solution. 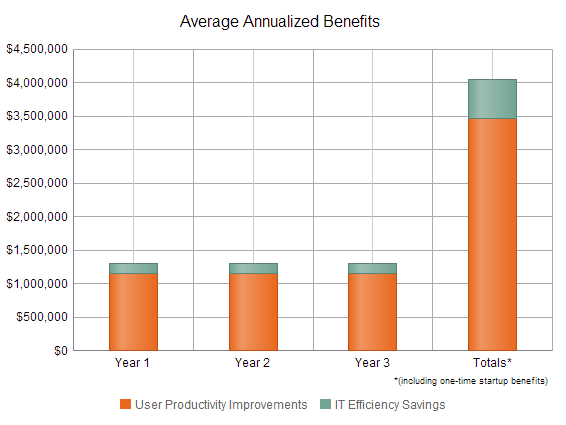 The third gives you a visual breakdown of the Average Annualized Benefits, broken down into User Productivity Improvements and IT Efficiency Savings. The ROI calculator on our site is a shortened version of a more complex, comprehensive calculator that our Riverbed sales reps can use with you as a follow up, which will give you a more exact ROI prediction. The predictions from both are based on extensive primary research by ESG, with customers of both Riverbed SteelCentral and similar alternate solutions, so you can be sure the Riverbed SteelCentral NPM Solution provide measurable value to your company. The ROI calculator is a powerful tool for potential SteelCentral NPM solution customers, quickly and easily giving you a good idea of just how much the SteelCentral solution can do for your company. In the time it took you to read this blog, you could have discovered just what the SteelCentral NPM solution could mean for your company. In fact, you should probably go do that now.